I am not a big fan of oats but I know it’s a whole grain and has high fiber content, it is filling and helps in losing weight or maintain healthy weight. Oatmeal is very good for heart as well and lowers cholesterol. Hence oats is regular in my diet. 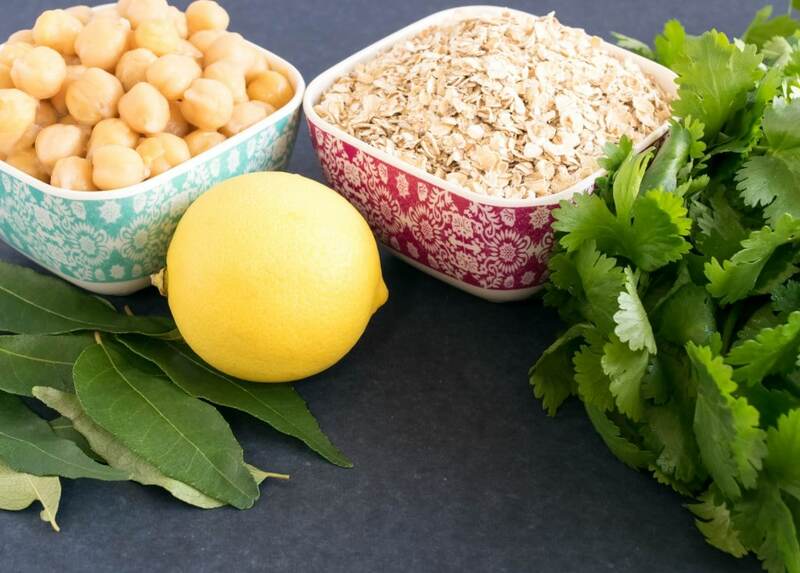 But eating oats in regular fashion regularly gets quite boring and since I like to try variety of food and in their new form I came up with Oats and Chickpeas Pilaf. 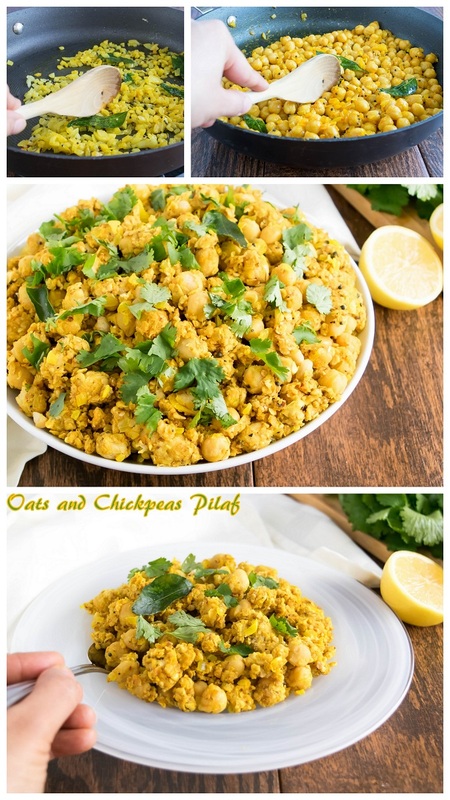 When I thought of oats in a pilaf form I found it quite interesting and kept wondering of how would I incorporate oats in a pilaf form that I don’t miss rice at all. 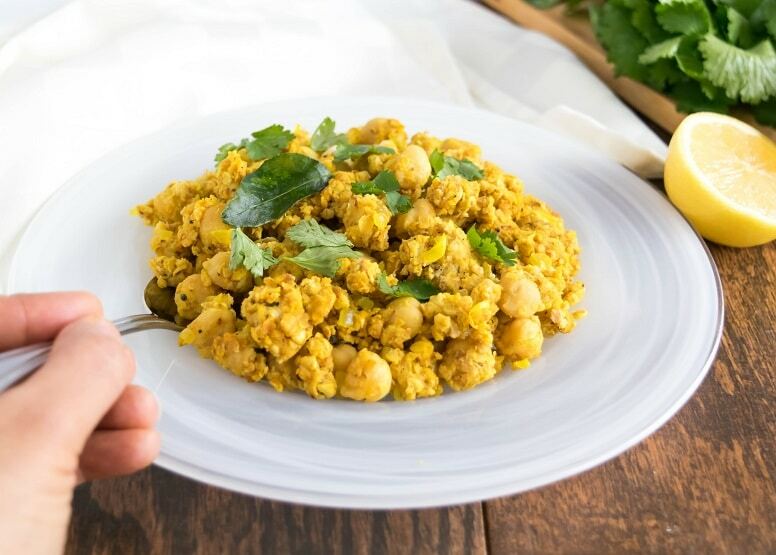 I also wanted to add protein into it and I decided to go with garbanzo beans/chickpeas. I happily ate my lunch and was satisfied till evening with a smiling face and lots of energy. Dry roast the oats in a nonstick pan. Keep it aside. 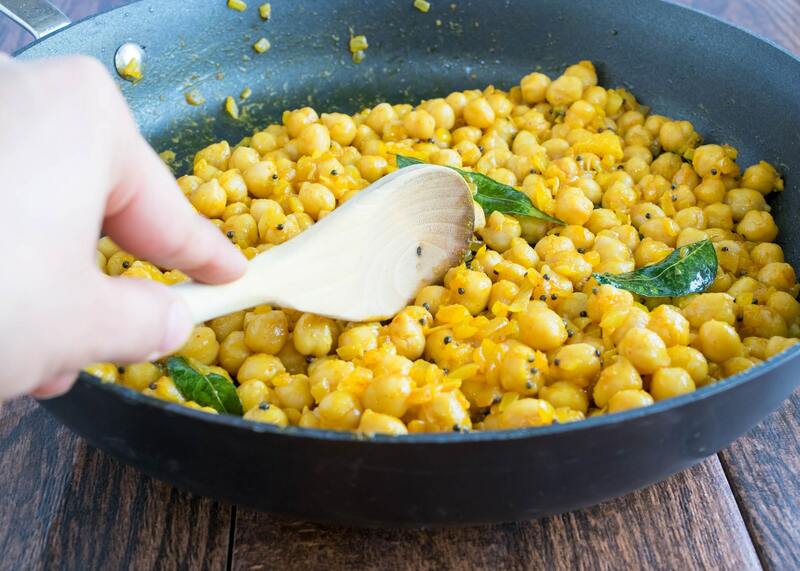 Heat oil in a nonstick pan and add mustard seeds. Just when the seeds start to crackle add curry leaves. Add onions and sauté until translucent. Add turmeric powder, chilli powder/paprika and salt and mix well. 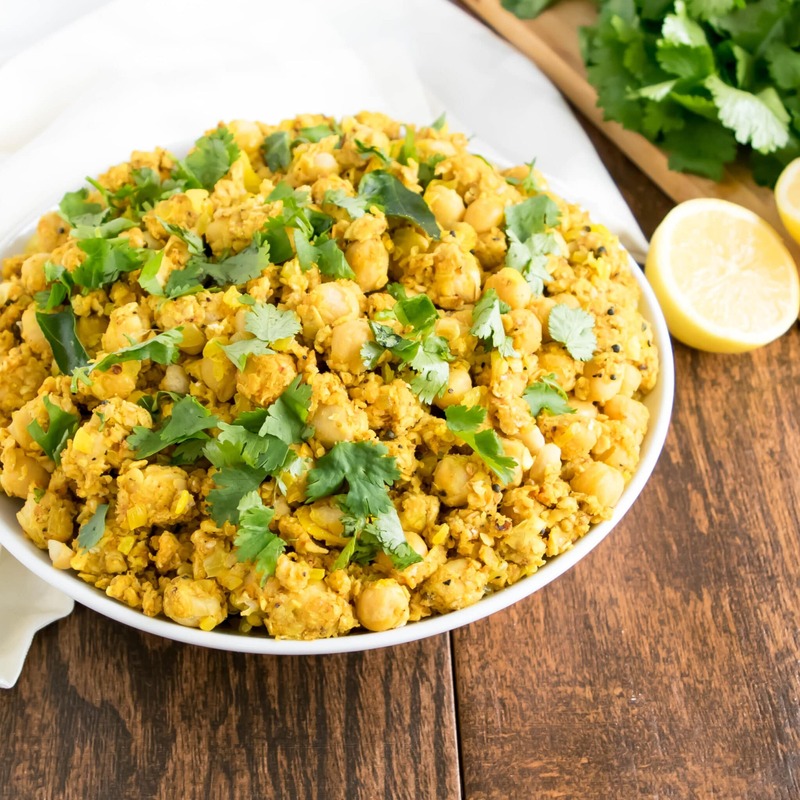 Add the chickpeas and sauté properly so that the chickpeas are properly coated. Add roasted oats and mix gently but make sure that the oats are properly coated. Add water, mix properly and cover and cook for 3-4 minutes. 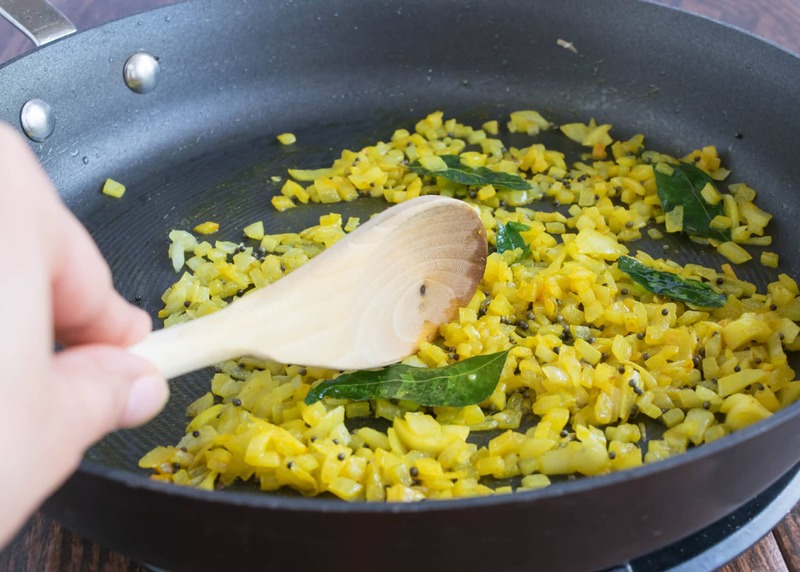 If you think the oats are slightly dry and not properly cooked add ½ cup water more but do no not exceed water more than 2 ½ cups or else it will lose its pilaf texture. Mix in lemon juice. Garnish with cilantro and serve hot. Red onions may also be used in this recipe. Paprika powder can also be substituted for chilli powder. Old fashioned oats can also be used if desired. Follow the same process.